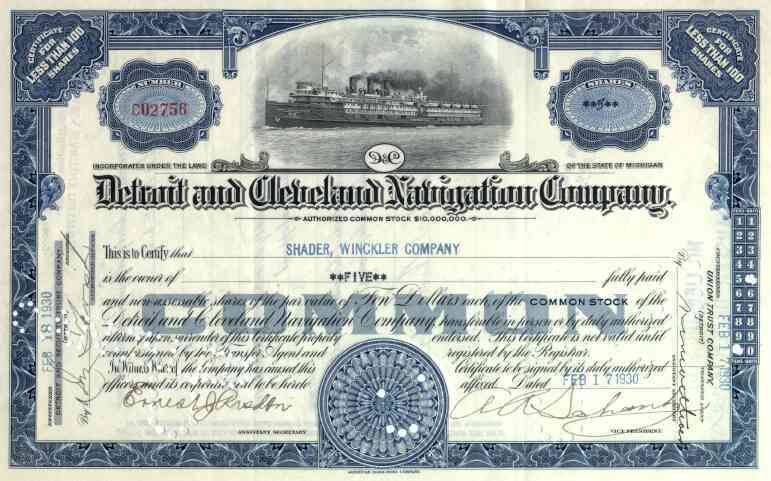 1930 Detroit & Cleveland Navigation Co. Stock Certificate. Company operated in the Great Lakes. Great vignette of early 20th century passenger steamship on this scripophily document. VF+ condition.